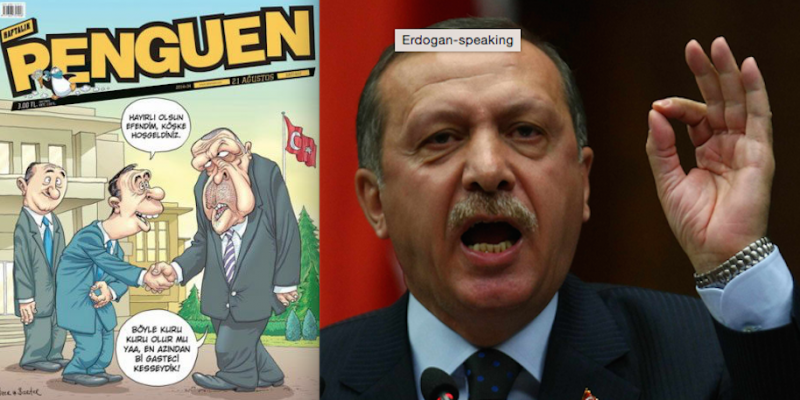 Turkish cartoonists Bahadir Baruter and Ozer Aydogan, from the Turkish satirical magazine Penguen, have been found guilty of insulting Turkey’s President Recep Tayyip Erdogan in a cartoon on the cover of the magazine’s August issue. The court sentenced both cartoonists to 11 months and 20 days in prison on March 24. That sentence was subsequently commuted to a fine of 7,000 Liras (2,500 euros) each. The cartoon depicted newly elected Erdogan arriving at his presidential palace and saying: “What a bland celebration. We could have at least sacrificed a journalist.” The prosecutor alleged that the cartoon was insulting in that one of the men made a certain gesture implying Erdogan was gay. Since being made President in August 2014, at least 187 people have been investigated for insulting the president. More than 70 people have been prosecuted. The Council of Europe Commissioner for Human Rights, Nils Muižnieks, today said he is “very concerned about reports from Turkey indicating that there is an increase in the number of criminal cases for alleged insults against the President of the Turkish Republic. 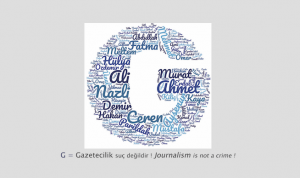 In this connection, I condemn the recent sentencing of cartoonists Bahadır Baruter and Özer Aydoğan. 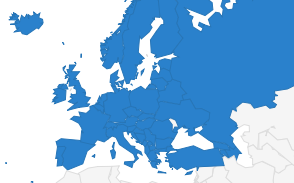 The case-law of the European Court of Human Rights affords a great deal of protection to freedom of expression, including to information or ideas that may ‘offend, shock or disturb the State or any sector of the population’. This sentence is misguided and, along with a pattern of criminal prosecutions, sends a chilling message to media professionals and all those who want to exercise their right to free expression. I urge the authorities to decriminalise defamation, including by repealing the offence of insulting the President of the Republic, in order to restore a more serene climate in which freedom of expression can be safely excercised”. 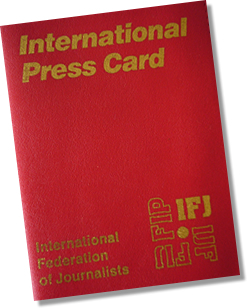 The European Federation of Journalists (EFJ) and the International Federation of Journalists (IFJ) denounce this new attempt to intimidate cartoonists and journalists in Turkey. The EFJ calls on its member unions and European journalists to support the #ErdoganCaricature social media campaign initiated by British cartoonist Martin Rowson, in support of freedom of expression.